Did you hear about Michelle Obama talking at INBOUND? She was here, she ruled the stage, and she was fabulous. 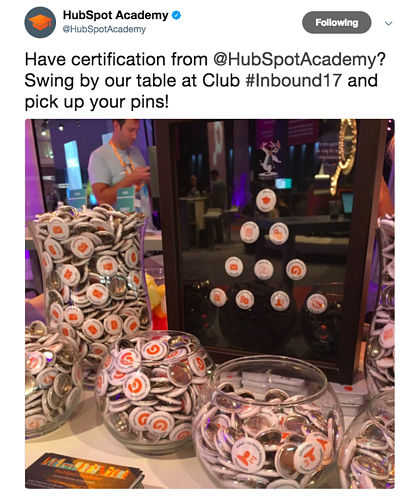 It's Thursday of INBOUND 2017, and a lot has happened during the last few days. Let’s look back at some of the big conversations, the new HubSpot products that were launched, and what you need to do now that the event is coming to a close. The first day of INBOUND was a beautiful early fall day in Boston. We kicked off Monday with some educational sessions at HubSpot Training Day, where HubSpot trainers taught HubSpot users how to be successful using the software in their businesses. These half-day workshops covered topics ranging from content strategy to inbound best practices and how to use the HubSpot CRM. These sessions are valuable for users who want to learn how to make the most of inbound and the HubSpot software, so keep an eye out for next year's event. While this was going on, HubSpot agency partners were getting excited about new HubSpot tools and connecting with others in their industries. 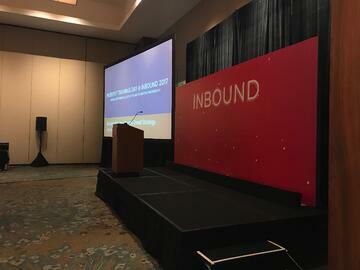 Agency partners learned about the new HubSpot Certified Trainer program before heading to the opening of Club INBOUND to join attendees in watching Brene Brown's opening keynote. In a blink of an eye, the second day of INBOUND was here. The crowds piled into the convention center and 21,000 people descended onto Club INBOUND to hear from Dharmesh Shah and Brian Halligan. 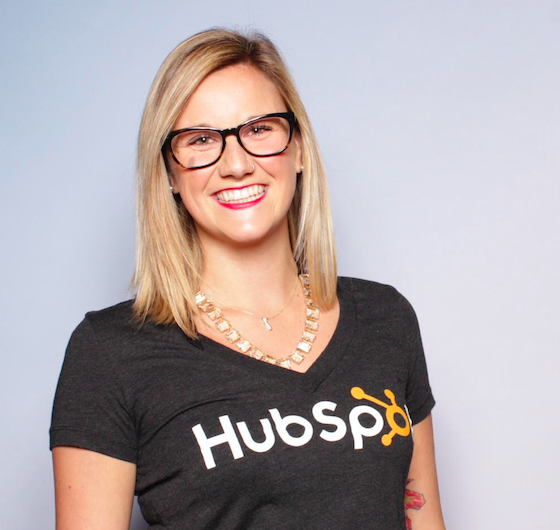 Each year at INBOUND, the co-founders of HubSpot take the main stage to discuss their learnings from years of building HubSpot as a business, which is now eleven years old. As the music swelled and electrified the crowd, Halligan and Dharmesh took the stage. Brian Halligan inspired the crowd with his words on building a business from a startup to a scale-up. What were these words of wisdom that Halligan had to share with the INBOUND crowd this year? What does this mean? Having a culture code helps create the atmosphere for your managers to do what they need to and hire the right people. When hiring the right people, you also need someone to be the voice of those employees. And lastly, all of this needs to revolve around a common mission that's the center of your company. Simon Sinek says it best: “People don’t buy what you do, they buy why you do it.” These three muscle groups can guide you and your business to success. What did Dharmesh talk about? Well, if Halligan taught us how to a scale-up, Dharmesh was there to show us how to harness the power of our employees to grow better and grow using HubSpot. He also showed off a selfie he took with Elon Musk, which is pretty cool. Some major product announcements were launched during Dharmesh’s keynote. Let’s take a look together at the new tools that can help you and your business continue to drive your success forward. Dharmesh kicked off his keynote by talking about vectors, with a micro class on linear algebra. He guided us through this mini class with the intention of showcasing the importance of direction. You want everyone aligned behind the same goal so that everyone can be moving fast, together, and in the same direction. Once aligned, you can use these three new HubSpot products to grow your company faster. HubSpot Sales Professional is the all-in-one sales toolkit to supercharge your sales engine. This more advanced version of the HubSpot sales software is designed for more mature sales teams, and the goal of this new sales product is to help larger teams work smarter. HubSpot Conversations is a shared inbox that helps you and your team have better one-to-one conversations with your leads and customers. HubSpot Conversations will seamlessly pull in conversations from every messaging channel — Facebook Messenger, Slack, live chat, email, and more — and allows you to bring any member of your team into a thread. The last new product on this list is a big one. HubSpot is completing the marketing > sales > customer service circle by introducing the Customer Hub. This third product hub focuses on one of the most important aspects of the inbound movement: Delight. 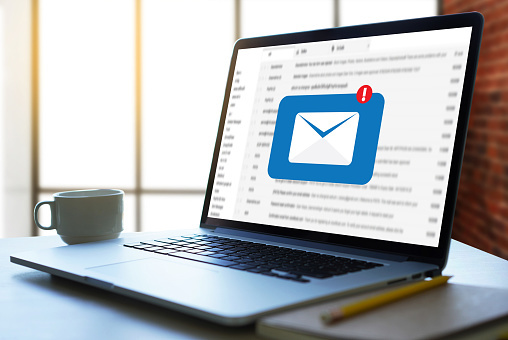 The Customer Hub is designed to help our customers help their customer be successful, and with it, you'll be able to do customer service in a more inbound way. These three product announcements hit the stage at INBOUND and are available soon to help you move faster, work smarter, and delight your customers. Watch Christopher O'Donnell's product spotlight. See the new tools in action. Whether you went to the event and hung out at club INBOUND, taking selfies with Dharmesh and Halligan's puppets, or whether you watched from live streams and Twitter, the dust is settling, and yes — we're already looking toward what's next. So how can you best prepare for what’s coming? Here are five things to do now. The cheapest prices for INBOUND18 are online now. We're already less than a year away from INBOUND18, which will be back in Boston on September 4-7, 2018. I hope to see you on the INBOUND floor next year. Take a look at what the new products can do and how you can use them to drive success for your business. 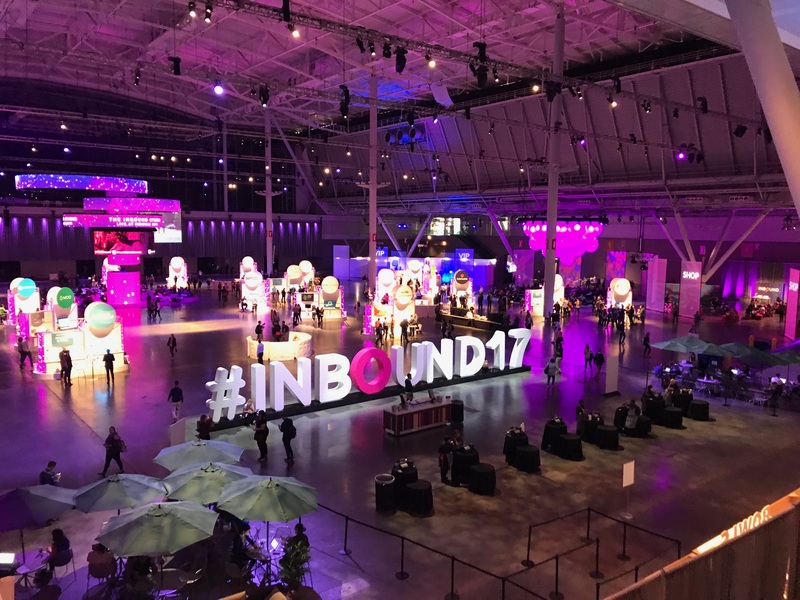 A lot happened at INBOUND17, so check out the new in HubSpot page to read more about the products that launched. Hopefully, you joined me and the other Academy team members on the INBOUND floor and collected your certification pins. We had a special pin this year for people with four certifications or more. INBOUND attendees also joined us for the inbound showdown — a multi-player quiz game with only one winner after the play-offs. 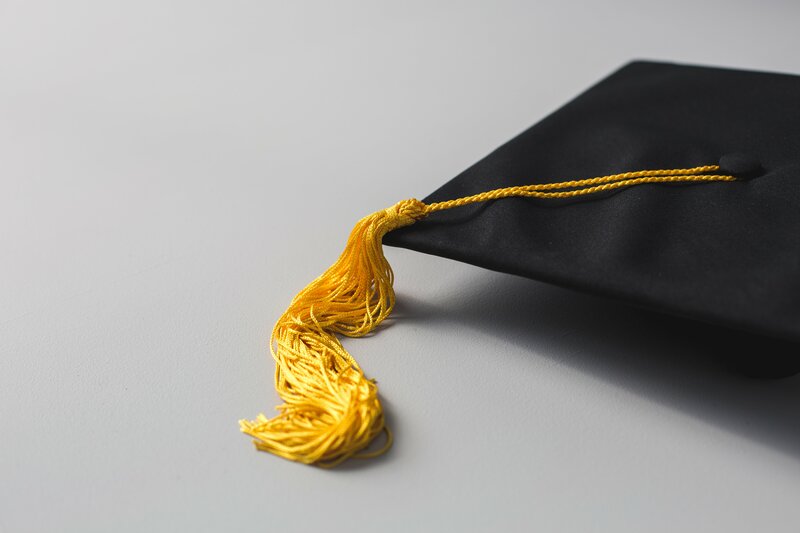 But there's more education coming before 2017 ends, so stay up to date with your HubSpot Academy certifications to find out about the new certifications when they launch. You probably met a lot of new faces at INBOUND this year, and you might have even reconnected with others. Don’t forget to follow-up with them, remind them who you are, and start new conversations. That's what INBOUND is all about. 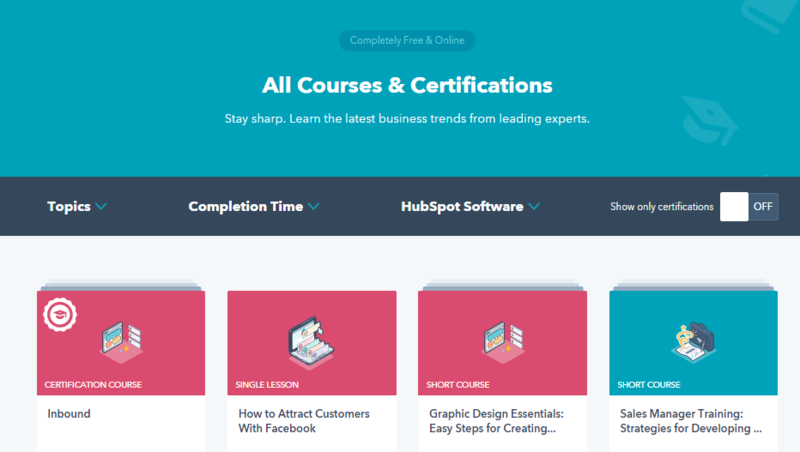 Just because INBOUND is over doesn't mean we stop learning. 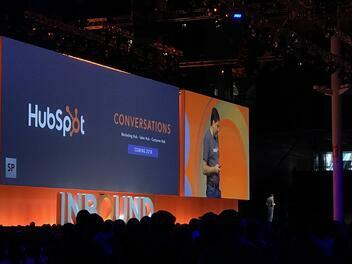 A lot of content from this year's event will be published on inbound.com. The ideas and discussions will continue, so watch the sessions you missed during the coming weeks. Next on the "Contacts: A Growth Stack Story" Series. Tune in next Thursday for the next article in the "Contacts: A Growth Stack Story" series. Next week, we'll dive into HubSpot integrations and the different ways you can connect with HubSpot. Want to subscribe to view the whole series? Click here.